→How To Make A Perfect Addition Of Game Room In Your House? A house with kids has countless requirements. Just like their bedroom and study room, having a game room is equally essential. Kids love having an ideal place where they can keep and manage their loveliest belongings, that is their toys and games. However, you not being an interior designer, this could be a little perplexing to discover various ideas that can be implemented in a game room. Without any denying to the fact, I would say that people these days are equipped with a wonder world and that is in the form of internet and their computers. It is a thing where you can find fantastic ideas for every possible endeavor in this world. My topic for today is centered on the brilliant ideas to interiorize game room in your house. I hope you find them useful for your house and apply them to create a picture perfect game room for your kid. Who Needs A Game Room? Firstly, you need to understand that what is the purpose of building a game room in a house? Well, game rooms are usually mistaken as the kids’ play room where they keep all their toys and games and spend time for their entertainment. It is not necessary that only kids can have a game room. People with any age group can have a game room in their house, if they are very fond of various types of games. You can add a pool table which is loved by people of various age groups. You can also add a music system or a complete musical instrument band. The requirements of kids’ game room and a conventional one strictly define the taste and preferences of the person who owns it. Well, consider the example of a kid’s game room; here are some of the brilliant ideas that can help you in creating a masterpiece in your house. Kids have very distinctive type of tastes and preferences. You just need to assimilate the need i.e. you have to ensure what your child likes to play. That room has to be equipped with the games that your child would love to play or the kind of games that you want your kid to take interest in. As soon as you determine the need, you can start working on the purchases and making a blueprint of the room, the way you want it to appear. There could be hundreds of ideas popping up in your mind but they all are a waste of time if you don’t have a provision of a room to convert it into an in-house gaming spot. Most of the people prefer using the basement of their house as the gaming room. It is a place that can be renovated most easily and you don’t have to make much effort in emptying it. Basement is just an opinion and the preferred option. 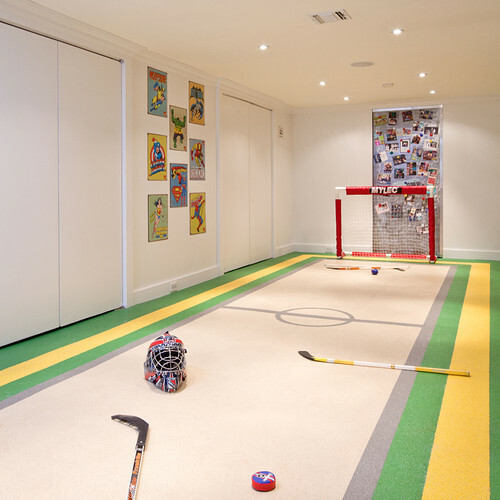 You can use any room of the house and make it a perfect game zone for your kids. As we all are quite familiar of the fact of kids spending long hours in their game room, they definitely need a television being available there. It is a perfect source of entertainment as they can watch cartoon along-with, they can call their friends and enjoy playing PS. Therefore, there are many such reasons that can justify the installation of television in kids’ game room. There are many units that fall under the niche of accessories when it comes to the décor of kid’s game room. Furniture is one of the highly enforced accessories that are to be added in a game room. There are various types of recreational options in gear for kids that can be added in the room. Other accessories like holding cabinets to store the smaller games and other essential belongings of the room are also equally imperative. Add stunning looking sofas, leisure furniture, stools, pool table, other gaming accessories, bean bags and whatever your kid fancy to make it the most happening place of the house. Now, the segment of décor concludes the overall ambience of the room. It consists of wall décor, flooring, types of gears that are enhancing the oomph factor and much more. The word décor is boundless and you can never get enough of it. It completely depends upon your tendency to spend and the classic tastes that you have. 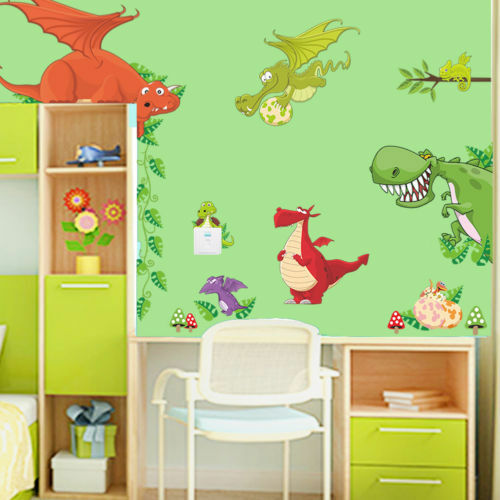 It is always recommended to keep kids’ room highly colorful and diverse in nature. You don’t have to follow any symmetry. Use as many colors as you can like on the walls and make a perfect blend with the floor and furnishings.